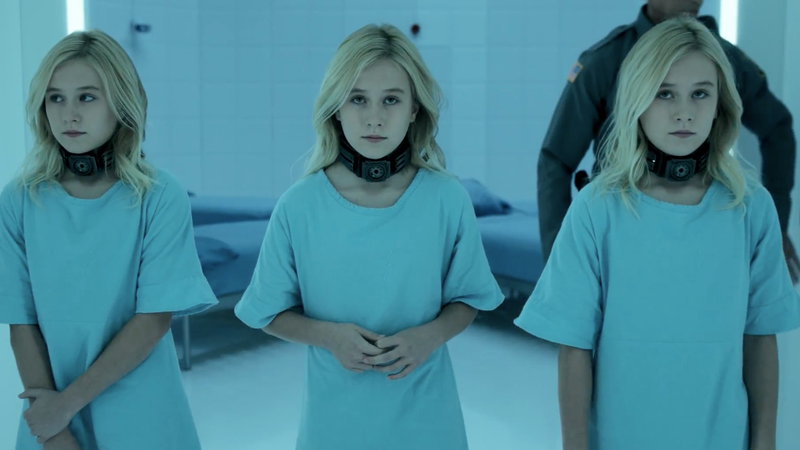 The younger Esme, Sophie, and Phoebe Frost in Fox’s The Gifted. When Fox’s The Gifted isn’t spending its time getting around the X-Men by reimagining significant parts of their mythos, it actually gets pretty damned close to name-checking heavy-hitters like Magneto by focusing on the characters’ children instead. It’ll probably be a cold day in the Hellfire Club before we ever see Emma Frost step foot into the world of The Gifted, but this week’s episode “iMprint” will delve into Esme, Sophie, and Phoebe Frost’s pasts to explore how the trio of telepaths became the deadly force we know them as today. Speaking to CBR, actress Skylar Samuels explained how the glimpse of the Frost sisters’ younger days will reveal things about their origins that contextualize their sometimes sociopathic methods of fighting for mutant rights. As great as it’ll be to see even more of the Frost sisters’ complicated inner workings unpacked, Emma would never dare call them her Stepford Cuckoos until they got themselves together and managed to turn into organic diamonds. A mother can only hope.